On the occasion of Sidorov’s 80th birthday the Tretyakov Gallery organized a retrospective of his work and the curators wrote, “ Valentin Sidorov is one of the most celebrated artists in Russia today. Born in 1928 in the village of Sorokopenie, Sidorov has always had an understanding of the beauty and magnificence of nature in his heart. His family moved to Moscow in 1936 and Sidorov furthered his studies at the Leningrad Institute of Painting, Sculpture and Architecture between the years of 1948 and 1952. Now celebrating his eightieth birthday, the Tretyakov Gallery hosted an exclusive exhibition to honor him in December 2008. Russia and its picturesque landscapes have been the inspiration behind most of Sidorov’s works. While most artists aspired to paint portraits for the government, Valentin Sidorov steered away from these types of projects, concentrating only on the things that brought him joy, namely natural landscapes. He has received many honors and awards for his work, including the Silver Medal of the Academy of Fine Arts in 1972, being named the People’s Artist of Russia in 1979, the International M.A. Sholokhov Prize in 2000 and was named the People’s Artist of Ukraine in 2004. In 1987 he was voted to the position of President of the Russian Union of Artists, became a member of the Academy of Fine Arts in 1988 and in 1998 he also signed on as a member of the Kyrgystan Academy of Fine Arts. The Tretyakov Gallery has more than a hundred different pieces created by Valentin Sidorov on display, including some of his earliest work from the 1940’s and 1950’s, many of them were seen at the Tretyakov exhibition for the very first time. 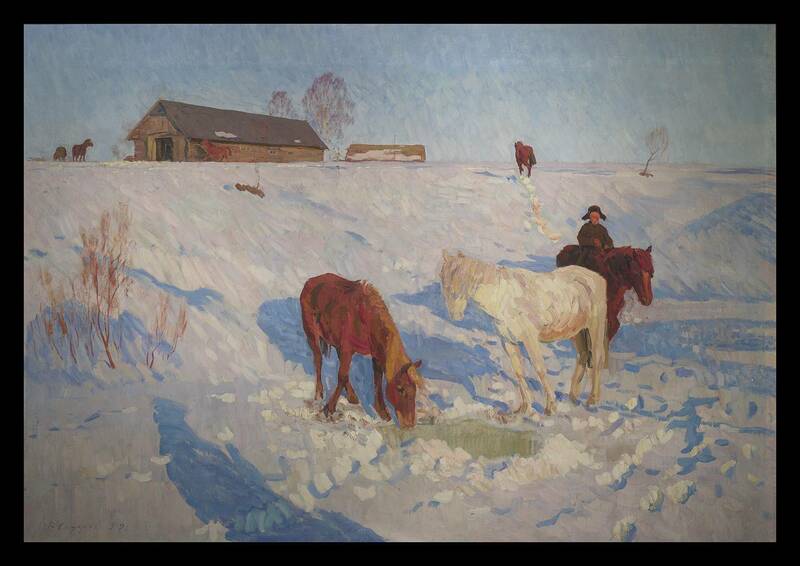 All the works in the collection focus on the countryside of Russia, its warmth, familiarity and its beauty. Spending most of his childhood with his grandmother in the Tver province, Sidorov took in all the unique features of the landscape. Sidorov believes that one should live close to and in harmony with nature, also trying to live his life as his grandmother reminded him to, by seeing with his heart. Even though Sidorov survived some of the darkest days in the history of Russia, his paintings bring only the most memorable, tranquil, recognizable and warming side of the country to life. His art brings a sense of tranquility and peace to those viewing the paintings and reminds those who have become prisoners of the bustling concrete jungles that beyond the city borders and rush of everyday life awaits a world of beauty and natural wonder that they should explore. This large and impressive painting from 1959 remained in the artist's studio lost and forgotten for 50 years until the artist found it again rolled up in a corner in 2009. Sidorov said it was painted on a field trip with Vladimir Gavrilov who was teaching him at the time and the older artist's influence can be clearly detected. Sidorov said he remembers how cold he was when doing the sketches, some of which he still has. 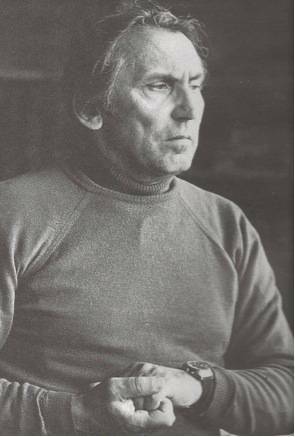 Sidorov, President of the Russian Union of Artists for many years, and one of the leading exponents of the post war Moscow school of Art was always passionate about the countryside. Here... a boy is depited wearing a thick fur hat riding a horse next to another two horses who forage for grass under the snow. There is a farmhouse on the horizon. Tthe shadows are lengthening and the painting is bathed in the soft sunlight of a late winters's afternoon. The snow is suffused with a pink glow from the sun. There is a feeling of the vastness of the Russian countryside, of its continuity and of its importance in the Russian soul which manifests itself in the descriptions of writers such as Tolstoy and Chekov and the paintings of artists such as Repin, Victor Ivanov and Valentin Sidorov. This painting remains a rare survival of a large scale important work by one of Russia's leading 20th century painters.